Other part ref: 4F0919069A - 4F0919069 - 4F0 919 069. Audi 2nd and 3rd generation MMI Systems. Audi Q7 from 2006 to 2010 Non Face lift Models. Audi A8 from 2003 to 2010 All Face lift and Non Face Lift Models. Audi Part Number: 0501318015. Donor Car: 2002 Audi S8 D2 FL 4200cc Quattro Sport. The New and Used Audi Parts Specialist for all Audi models worldwide. It may fit others. AUDI A8 D3 2003-2010. FOR SALE IS AUDI NEW GENUINE ELECTRIC LID LOCK FUEL FLAP SWITCH BUTTON TO FIT. The New and Used Audi Parts Specialist for all Audi models worldwide. Audi Part Number: 4E0 962 125. It may fit others. Donor Car Colour: Bodywork is N/A. Interior trim is N/A. The New and Used Audi Parts Specialist for all Audi models worldwide. Audi Part Number: 4E0 959 831. It may fit others. Donor Car Colour: Bodywork is N/A. Interior trim is N/A. Donor Car: 2003 Audi A8 D3 4200cc Quattro. The New and Used Audi Parts Specialist for all Audi models worldwide. Audi Part Number: 4E2 905 218. It may fit others. REAR SCREEN DEMISTER SWITCH. 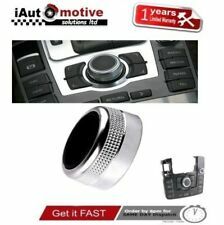 GENUINE 2012 - 2015 AUDI A1 8X HEATED SEAT TRACTION. A1 GERMAN BREAKERS UK LTD. A1 GERMAN BREAKERS LTD. DOES HAVE SCRATCHES MARKS DENTS OR AND AGE RELATED WEAR. PART NUMBER. AUDI A8 4E 2003-2007 NON FACELIFT. In the 2nd picture part marked as No.5. 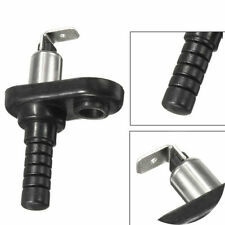 2013 MK2 Audi A3 FL 8P GEAR LEVER KNOB Colour - Black. Material - Leather. OE Factor Number - 8P0863279A 6 Speed. There are some age related marks and scratches (see images) Please make sure part is correct before purchasing. We try to describe our parts as honestly as we can, however please also see our images in case we have missed anything. Any questions please ask. International buyers please contact us for price and availability of postage to your location. Removed from below vehicle -. AUDI A8 S8 2003-2010 FACELIFT AND NON FACELIFT. - AUDI A6 S6 2004-2011 AND NON FACELIFT. - AUDI Q7 2006-2010 NON FACELIFT. Audi A8 D3 Dash Switch Panel Aluminium Finish. Donor Car: 2004 Audi A8 D3 4200cc Quattro. The New and Used Audi Parts Specialist for all Audi models worldwide. It may fit others. Audi Part Number: 4E2 927 137 AN. 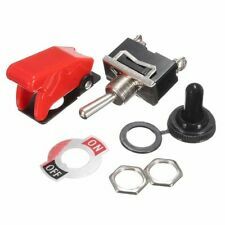 Audi A8 D3 Engine Start Stop Button Switch. Donor Car: 2008 Audi A8 D3 FL 3000cc Quattro. Generic Notes on this Part: Fits all A8 D3 from 2003 to 2010. Fits Right Hand Drive Vehicles Only. The New and Used Audi Parts Specialist for all Audi models worldwide. Audi A8 D3 Dash Switch Panel. Donor Car: 2003 Audi A8 D3 4172cc Quattro Sport. The New and Used Audi Parts Specialist for all Audi models worldwide. It may fit others. Audi Part Number: 4E2 927 137 BR. Audi A3 8P Indicator and Light Stalk. Donor Car: 2005 Audi A3 8P 2000cc. The New and Used Audi Parts Specialist for all Audi models worldwide. Audi Part Number: 8P0 953 513 A. It may fit others. REMOVED FROM 2008 AUDI A8 D3 LONG 3.0TDI L QUATTRO SPORT AUTOMATIC WITH 147k ON A CLOCK. WILL FIT AUDI A8 D3MODELS BETWEEN 2003-2008. or opening the case. ITEM IS USED IN VERY GOOD CONDITION. - We test all car parts before removing them for sale. Part no: 4E2927225. REFERENCE: C14. Donor Car: 2003 Audi A8 D3 3936cc Quattro. The New and Used Audi Parts Specialist for all Audi models worldwide. Audi Part Number: 4E0 962 108. It may fit others. AUDI A8 D4 4H. WE AIM TO RESOLVE ANY ISSUES WITHIN 24 HOURS. PART NUMBER 4H0 953 502 A. FITTING SERVICE AVAILABLE - IF THE PART IS FITTED BY US THERE IS 1 MONTH WARRANTY. IF THERE IS A PART YOU ARE LOOKING FOR AND YOU CAN NOT FIND IT. Removed from a 2007 Audi A8 3.0 230Bhp - 4 Door Saloon - Diesel - 6 Speed Automatic - Engine Code ASB. A8 2005 To 2010. Manufacturer Colour. Part Colour. Body Shape. Vehicle Colour. Transmission Speed. Donor Car: 2003 Audi A8 D3 4172cc Quattro. The New and Used Audi Parts Specialist for all Audi models worldwide. It may fit others. Audi Part Number: 4E0 953 549. The New and Used Audi Parts Specialist for all Audi models worldwide. Fits Right Hand Drive Vehicles Only. Audi Part Number: 8E2 941 515 A. It may fit others. Donor Car Colour: Bodywork is N/A. Interior trim is N/A. Manufacture Part Number 4F0919069A. Note - AUDI Q7 2006-2010 NON FACELIFT- AUDI A6 2004-2011 FACELIFT AND NON FACELIFT MODEL- AUDI A8 2003-2010 FACELIFT AND NON FACELIFT MODEL. 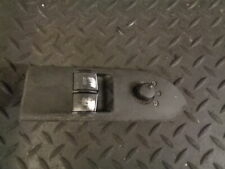 Audi A8 D3 Rear Heated Seat Switch. Donor Car: 2003 Audi A8 D3 4200cc Quattro. The New and Used Audi Parts Specialist for all Audi models worldwide. Generic Notes on this Part: For cars with heated rear seats without quad zone climate. 8K0863278A 1KT. FOR SALE IS NEW GENUINE AUDI A4 B8 BLACK LEATHER 6 SPEED GEAR KNOB MANUAL TO FIT - AUDI A4 B8 (2007 - 2015). Donor Car: 2000 Audi S8 D2 FL 4200cc Quattro Sport. The New and Used Audi Parts Specialist for all Audi models worldwide. Audi Part Number: 4D2 867 376. It may fit others. The New and Used Audi Parts Specialist for all Audi models worldwide. It may fit others. Audi Part Number: 4E0 959 851 B. Donor Car Colour: Bodywork is N/A. Interior trim is N/A. AUDI Q7 2006-2010 NON FACELIFT. - AUDI A8 2003-2010 FACELIFT AND NON FACELIFT MODEL. - AUDI A6 2004-2011 FACELIFT AND NON FACELIFT MODEL. We can‘t take any responsible if the item does not fit to your vehicle. We accept. Audi Q7 2005-2009. Audi A8(D3 4E) 2003-2010. A6 (C6/4F) 2004-2011. A4(B6/8E/8H) 2000-2004. Donor Car: 1997 Audi A8 D2 PF 4172cc Quattro Sport. The New and Used Audi Parts Specialist for all Audi models worldwide. Audi Part Number: Unknown. It may fit others. The New and Used Audi Parts Specialist for all Audi models worldwide. Audi Part Number: 4E0 962 126. It may fit others. Donor Car Colour: Bodywork is N/A. Interior trim is N/A. FOR YEARS: 1994, 1995, 1996, 1997, 1998, 1999 (1994). Audi Breakers. All A/C Compressors must have the A/C system flushed to remove any contaminants and the proper oils and Freon to be used. Also, the A/C system needs a new filter, dryer and orifice tube when installed. Audi A8 D3 Dash Switch Panel Aluminium Finish. Donor Car: 2003 Audi A8 D3 4200cc Quattro. The New and Used Audi Parts Specialist for all Audi models worldwide. It may fit others. Audi Part Number: 4E2 927 137 CD. THIS IS A GENUINE AUDI PART. PART NUMBERS. 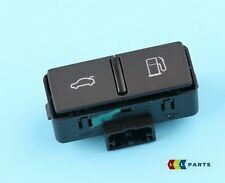 Audi A8 D3 FL Electric Window Switch Button. Donor Car: 2008 Audi A8 D3 FL 3000cc Quattro. The New and Used Audi Parts Specialist for all Audi models worldwide. Audi Part Number: 4E0 959 855 A. It may fit others. Donor Car: 2000 Audi S8 D2 FL 4172cc Quattro Sport. The New and Used Audi Parts Specialist for all Audi models worldwide. Audi Part Number: 4D1 867 375. It may fit others. Donor Car: 2005 Audi A8 D3 3000cc Quattro. The New and Used Audi Parts Specialist for all Audi models worldwide. It may fit others. Audi Part Number: 4E0 959 766 B. Donor Car Colour: Bodywork is Grey. Cash on collection in person. Be sure to add Nirro to your favourites list ! OS is offside, right, or drivers side in the UK. IN ALL CASES WE STATE THE CONDITION OF OUR PARTS. NS is Nearside, Left, or the passenger side in the UK. 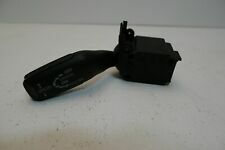 Audi A3 8L Heated Rear Window Switch. Donor Car: 1999 Audi A3 8L 1600cc. The New and Used Audi Parts Specialist for all Audi models worldwide. Audi Part Number: 8L0 941 503 A. It may fit others. 4H2 905 217 A. Audi A8 D4 4H Start / Stop Keyless Entry Switch. (SECOND HAND). Audi Part Number: 0501209896. Donor Car: 1996 Audi A8 D2 PF 3700cc. Generic Notes on this Part: Suits the V8 3.7 A8 and may of the V6 Audis. The New and Used Audi Parts Specialist for all Audi models worldwide.